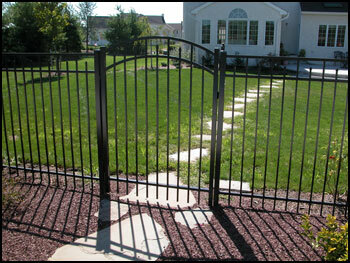 To differentiate your walk gate from the rest of your fence, you may want to consider our exclusive Accent Gates. These attractive gates enhance our standard designs with gently arched top rails. They are completely welded with no bracing to interfere with the appearance of their curves. 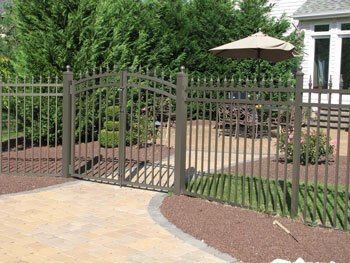 Accent Gates are made to accompany most of our fence styles in either a 3, 4' or 5 width. Our Rainbow Gates offer a double gate with a single continuous curve over the span of the gate, rather than the double arch you would get from using two Accent Gates in the same opening. These double gates are available to fit into a 6, 8, or 10 opening and are made with the same all-welded construction as our Accent Gates.